5 Stars, Professional, Knowledgeable, a real learning experience. Thanks Brian for covering all aspects of this very complex subject. Brian made the class exciting and very informative. I highly recommend if you are planning on getting your CCL , take Brian's class. Brian can answer any questions you have. The class is not boring or dry as you might expect for an 8 hour course. Hes a great teacher that makes everything simple to understand. 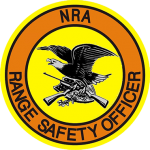 He has plenty of knowledge about anything related to firearms and can also steer you in the right direction as far as what kind of firearm to concealed carry, holsters to go with it, etc. Brian was a fantastic instructor. Very knowledgeable with in all aspects of the law. He explained everything in a way that everybody understood. Another great thing about the class is that you get your fingerprints taken and your application sent through right at the class . One stop shopping for everything. Excellent class would highly recommend. Brian was a fantastic instructor explaining everything very thoroughly in a way you could understand it. He was extremely knowledgeable in every aspect of guns and Conceal Carry. Also it was extremely convenient to have the fingerprints taken and application sent through and location right in the class. One stop shopping for everything you need. Awesome class ! Course was excellent. Brian is an outstanding instructor, informative and practical. I learned a lot about safety and legal issues. Will recommend to attend. I give the Concealed Carry of Illinois course a solid 5 stars. Our instructor Brian was incredibly knowledgeable and taught the class in manner that was very interactive and not boring (I expected the class to be very boring). If you plan on getting your concealed carry permit I would 10/10 recommend this course with Brian as the instructor. Brian was absolutely fantastic. 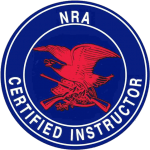 Learned tons about safely carrying and practical information for gun owners - new or experienced - about how and when to use your weapon. Brian's course was recommended by several friends, and I will surely recommend Brian to several others. Had a fantastic time with Brian our Instucter. Unbelievable teacher and I would highly recommend him to anybody. Brian was a great instructor and I highly recommend his course to anyone wanting to conceal & carry. Brian is great! He's knowledgeable, patient, and very hands on. I learned a lot and highly recommend the class and him as an instructor! I took the CC class a few weeks back with Brian and it really was an enjoyable and educational experience. I came into the class with a good knowledge of firearms and pistol shooting but left with even a greater knowledge. I was concerned that 16 hours on the weekend was going to be tough but Brian's knowledge and passion of firearms had me engaged throughout, the time really flew by. He was very thorough and moved through all of the topics in great detail. No question was a dumb question. If you are considering a CC Permit then I would strongly recommend Brian. If you are only looking for a firearms safety class then this program will work too. I have already recommended Brian to my friends and family. 5 STAR EXPERIENCE!!!! !